It’s My Love Story By Ajitabha Bose – A Book Review Publisher: Author’s Ink Publications.. In Love With Shahrukh Khan by Ajitabha Bose – A Review Publisher: Authors Ink Publications.. 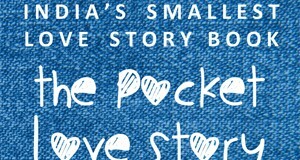 The Pocket Love Story By Ajitabha Bose– A Review Publisher: Authors Ink Publications Publication Year:..
Ajitabha Bose- Film making with a different concept Ajitabha, will share with Indiacafe24.com his creative..